Doje's Forensic Supplies > NEW PRODUCTS > CARBON FIBER BRUSH - NEW! 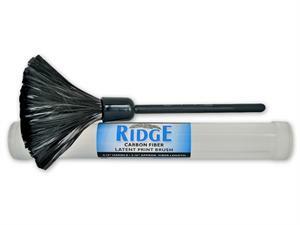 The RIDGE™ Carbon Fiber Latent Print Brush contains bristles made from the finest carbon fibers. This brush has a sturdy plastic handle and a low friction quality, with minimized scratching, distortions, or damage to latent prints. The corrosion- and moisture-resistant fibers help ensure the finest brush in extremely high humidity. The RIDGE™ Carbon Fiber Latent Print Brush comes in a protective anti-static plastic tube. Carbon filament length: approx. 2.16"